How’s that for a handle? 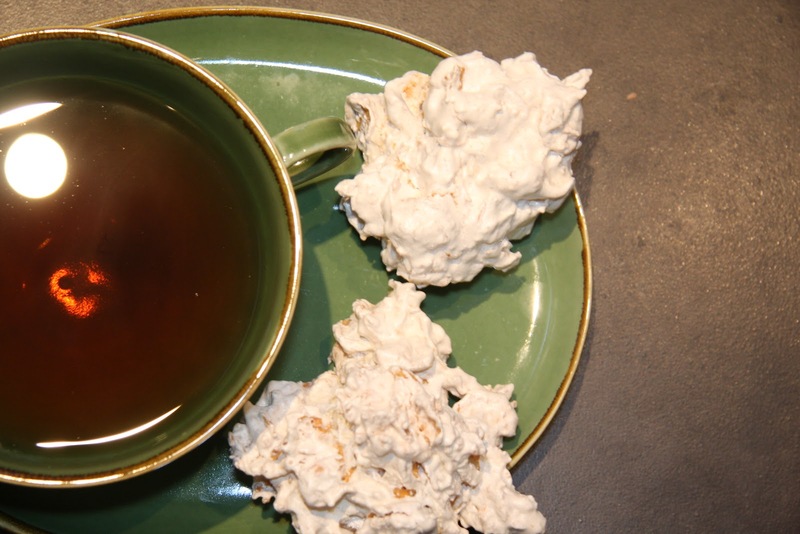 These are an odd cookie that I remember Grandma Gibson making often. She likely got the recipe from the cornflakes package but I have been able to find the original so this is my take on them. I made the massive too. That basically sums up my childhood in suburban Toronto in the ’70’s. Five egg whites (remember the banana creme brulee? 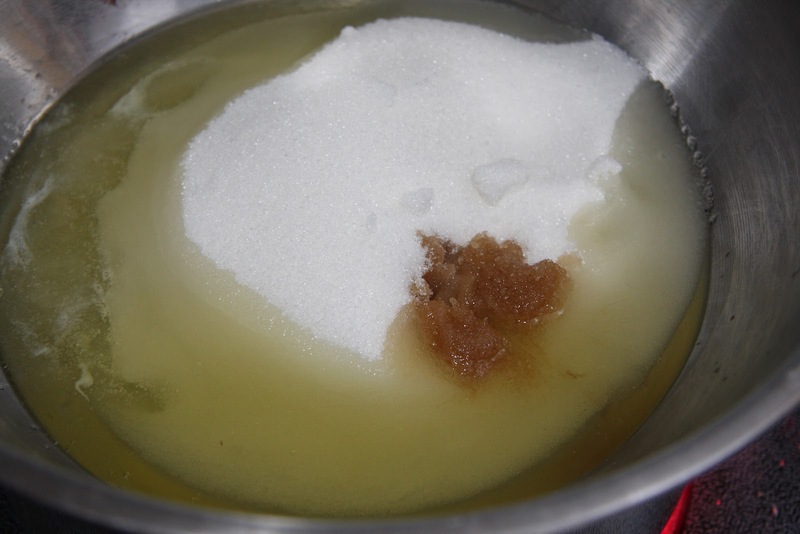 ), two cups of sugar and 1 tsp. vanilla in a heatproof bowl over barely simmering water. Beat until thick and the meringue feels slightly warm. 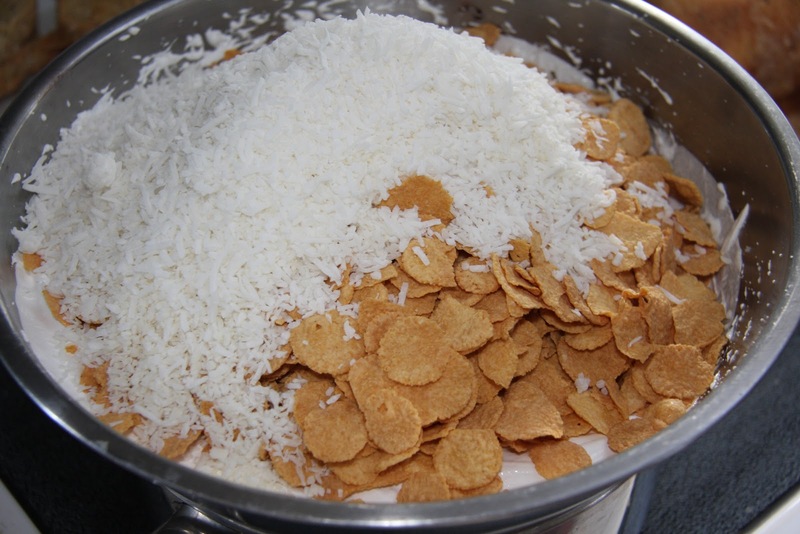 Add 1 1/2 cups of coconut (I really wanted a chewiness to this cookie) and 6 cups cornflakes. 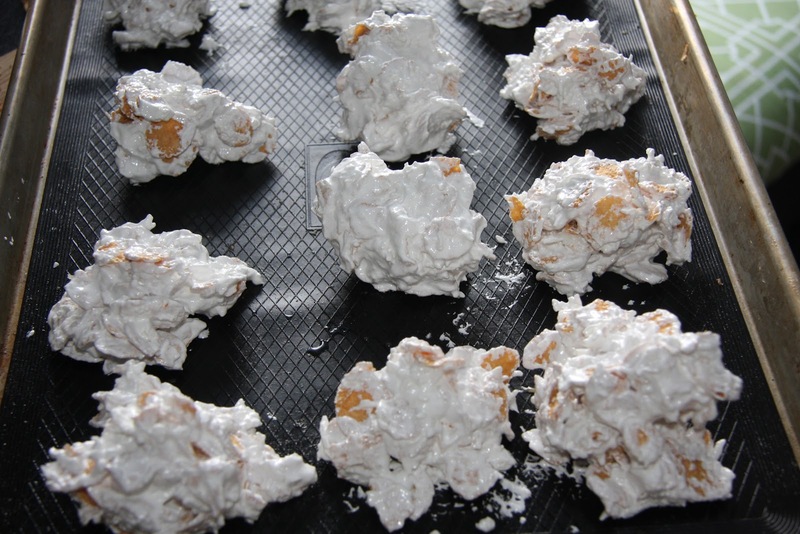 Place on a cookie sheet that is: greased or has parchment paper or a silicone sheet. 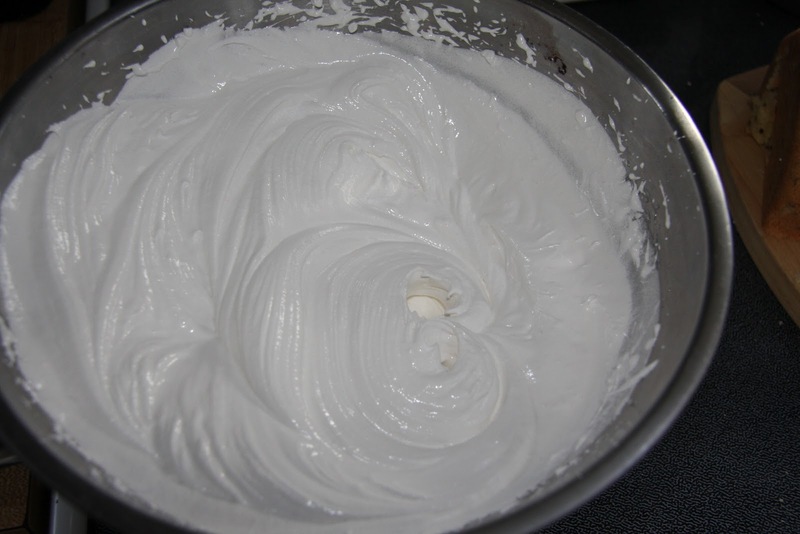 Place heaping tablespoons of the batter about 2 inches apart. Bake for 20 minutes at 300 degrees or until firm on the outside and slightly gooey on the inside. Those look sooo good! I'm not having sweets in March but in April, I will making these babies! Now that sure is interesting! Looks good. Well I love all things coconut so I'll definitely give these a try!